The tax advantages enjoyed by the UK’s millions of self-employed people – including tilers – will be dramatically reduced following a series of major changes in the budget. Appearing to reverse a Conservative party manifesto pledge from 2015, Philip Hammond risked irking his backbenchers and party supporters by announcing he is to close tax benefits that are “no longer justified” by increasing the national insurance contributions (NICs) for self-employed people earning more than £16,250 a year. Announcing his changes, the chancellor said an employee earning £32,000 a year currently faces an NI bill of £6,170 along with their employer, while the bill for a self-employed person earning the same salary would be £2,300. “Historically, the differences in NICs between those in employment and the self-employed reflected differences in state pensions and contributory welfare benefits,” he said. 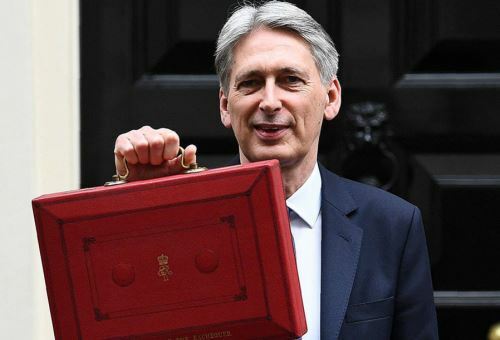 Hammond told MPs the changes would raise £145m a year after taking into account George Osborne’s abolition of a separate class of self-employed national insurance contributions, class 2. He said class 4 NICs for the self-employed would rise from 9% to 10% in April 2018 – and then to 11% in April 2019 – on income up to the higher rate threshold of £45,000. The new rates are still lower than for employees who pay NI at 12% on the same income levels, while both groups will continue to pay at 2% on income above the higher rate threshold. However, some self-employed people appeared to have been insulated from another of the chancellor’s new initiatives. The changes to the taxation of dividends was criticised for “leaving the door open to massive tax avoidance” by wealthy people working for their own companies. New data published by the Office for Budget Responsibility showed that a previous increase in dividend taxes resulted in much of the benefit falling to “just 100 individuals who were able to withdraw dividends averaging £30m each from their companies before the higher tax rate took effect”. The increase has triggered criticisms that the Conservatives are reneging on a 2015 manifesto pledge that committed the government “to no increases in VAT, income tax or national insurance” – while the reception from the business community was less than positive.